I have a brand new resource for my Access All Areas members this week, courtesy of Sivioco. 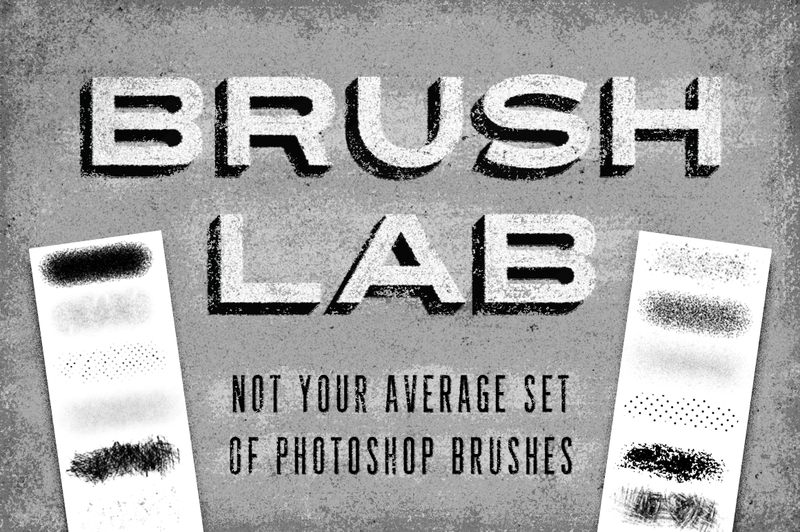 Brush Lab is a collection of over 90 Brushes and 5 Actions, but these aren’t your average Photoshop brushes! The problem with a typical texture brush is it doesn’t really behave much like a brush at all. Rather than being able to paint with them, you usually have to click repeatedly across your canvas, building up areas of texture click by click. With Brush Lab, Sivioco has created a unique set of Photoshop brushes that solves this problem, giving you the ability to effectively “paint” texture onto your canvas for a quicker, smoother, more natural experience. Sam Jones of Sivioco creates simple tools and resources to help designers work better, faster, and smarter. His popular Creative Market store contains some exceptional resources for Photoshop and Illustrator that help you achieve sought after styles in your artwork with ease, including chalk effects, stamp effects, woodblock printing effects and painted effects. Access All Areas members have been treated to the full Brush Lab product that contains over 90 Photoshop Brushes and 5 Actions for adding cool textures to your artwork. The difference with these brushes is they’re created in a unique way that allows you to paint texture onto the canvas, allowing you to quickly and easily apply various styles of shading and ageing effects to your designs. The pack contains loads of brush styles too, including heavy grunge, subtle grunge, speckles, halftones, scribbles and diagonal lines. The Photoshop Actions can also be used to stylize the outlines of your artwork to create a hand drawn appearance. These are fantastic – One of the best brush sets I’ve downloaded, anywhere. Thanks! Thanks for the kind words, Stephen! Glad to hear you’re enjoying using them. Well, cooool! LOL This is great, Chris! Thanks tons! I highly recommend becoming a premium member. It is without a doubt the best 10$ spent. The resources he supplies are one we will actually use! such a nice change from crappy clip art etc. My graphics design classmate recommended this page. Guess he wasn’t kidding.